Saturday August 26th, 2017 (1pm CDT) – four of us are going to do an Instagram hammer-in (#instagramhammerin) for you all to watch. 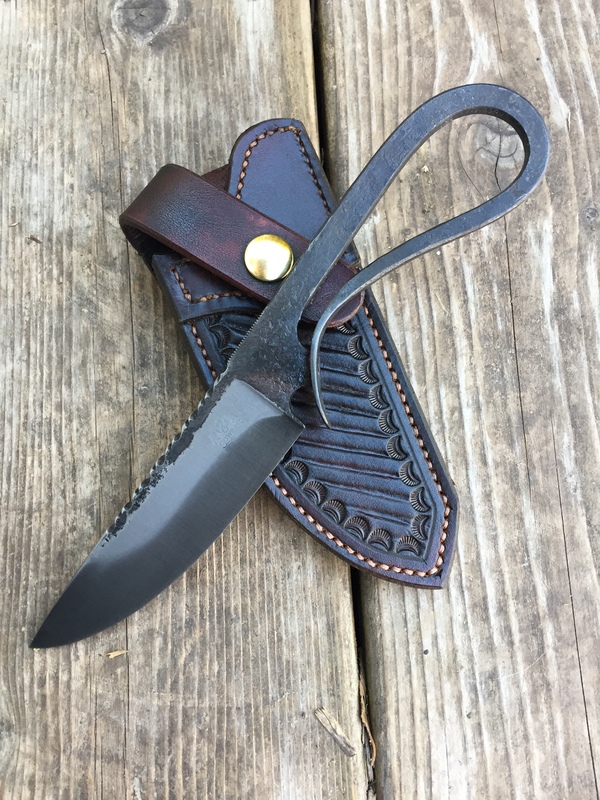 We will each forge a knife of our own design, starting with the same sized stock, forge for two hours, and show a picture of the blade every 10 minutes or so. There will be four smiths working ABS Mastersmith Lin Rhea, Forged in Fire contestant Robert Burns (Wilderness Ironworks) , blacksmith instructor Matt Jenikns (Cloverdale Forge), and me. This is not a contest. 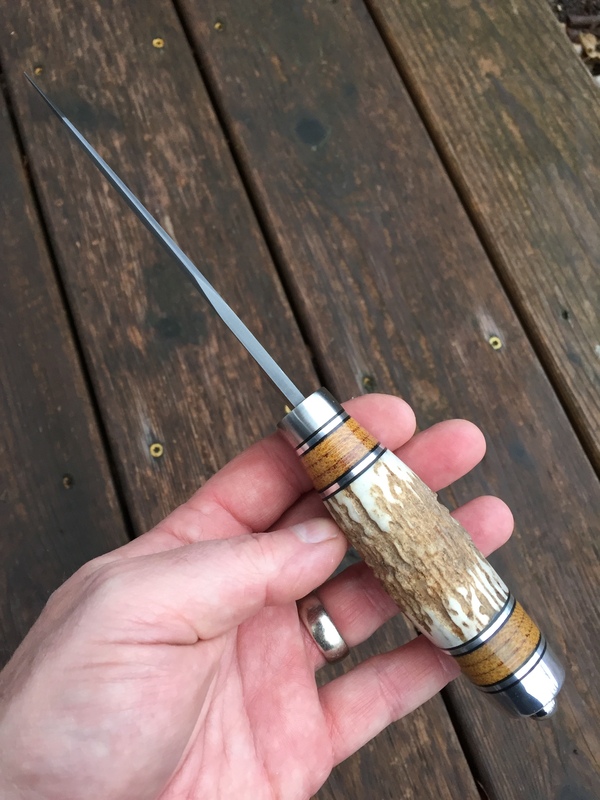 No prizes will be awarded – it’s just for fun and hopefully the pictures will be an educational resource for new bladesmiths. Video, video, video, I made another video. This shows how I take a rough forged blade, try several different final designs for it on paper, and transfer the best design onto the blade for accurate grinding. It’s funny, but it took me a year to figure out this really simple way to transfer the paper pattern onto the steel easily and accurately. I posted a video on YouTube showing how I forge one of my large bolt bottle openers. 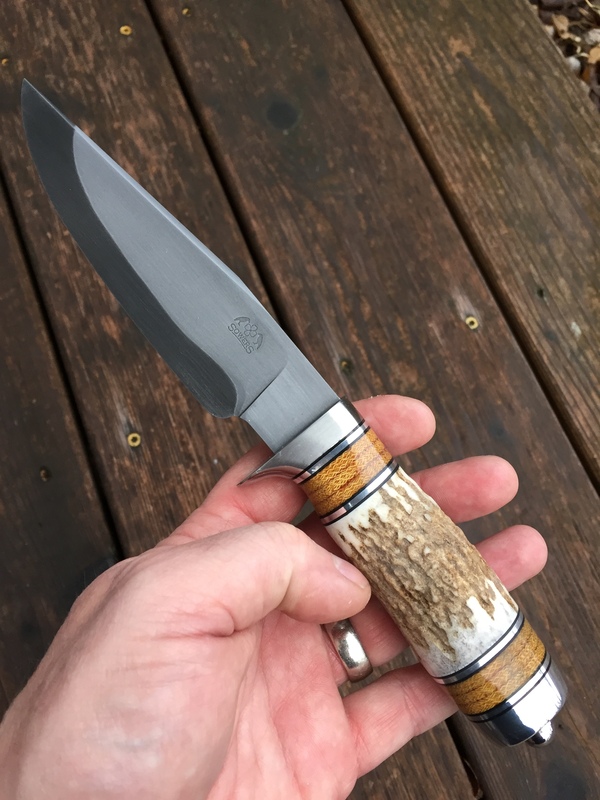 I met Joe Keeslar this year at the ICCE knife show this year and I wanted to make a dagger in his style. Below are some photos of the process. This was a really fun build – it pushed my abilities in both blade and sheath and I am happy with how it turned out.